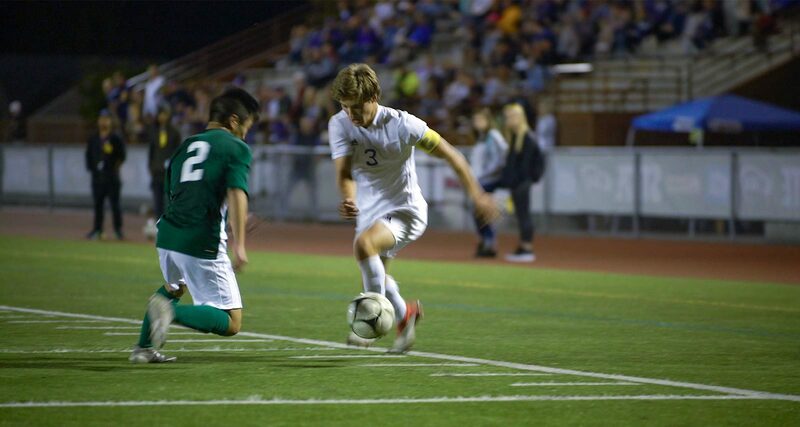 This spring, Sumner High School Boys Soccer has the opportunity to make school history – for the second year in a row. After a school-best third-place finish in 2018, the Sumner boys have set their sights on the Washington state 4A soccer championship. 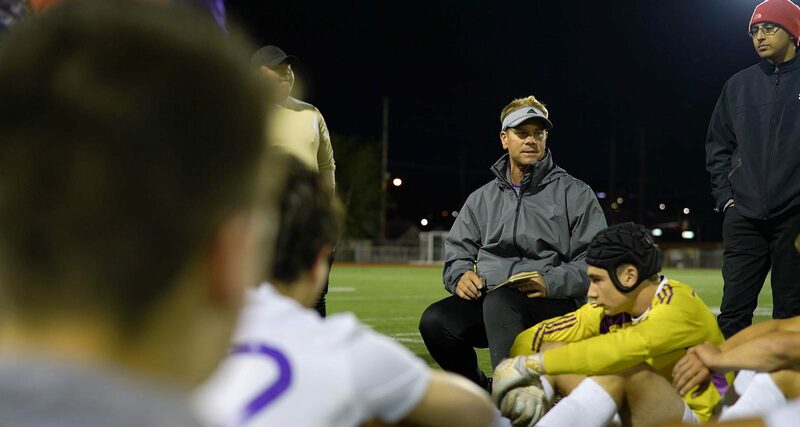 See how coach Todd Murray and the Sumner Spartans built one of the best high school soccer programs in Washington. An overtime header sneaks past the keeper, breaking a 0-0 tie. White jerseys drift dejectedly off the field. The game is lost – as is the opportunity to play for a state championship. Though this semifinals defeat is a bitter pill to swallow, it still represents the best finish in Sumner High School Boys Soccer history. “We made a commitment to play good ball,” first-year head coach Todd Murray said of his squad’s landmark season. They certainly didn’t disappoint. The Spartans’ thrilling 2018 season, during which they boasted a 14-2 record and took first place in the South Puget Sound league, culminated with that trip to the Washington 4A state semifinals. The Spartans faced off against Skyline High School of Sammamish to determine who would continue on to the state championship game. Before stepping onto the field, Murray warned his players that the semifinal can be a tougher game even than the final. “You’re going to have to sacrifice. You’re going to have to dig deep to get what you want,” Murray told the Spartans in a pre-game locker room huddle. “And I promise you, they will not give you anything,” he added. As we know, Murray was right. In a hard-fought battle, the teams entered double overtime deadlocked at zero goals apiece. Skyline’s header off of a corner in the 87thminute sealed a 1-0 victory. The following day, the Spartans took out their frustration on Wenatchee’s Eastmont High School, dismantling the Wildcats 6-1 en route to a third-place state finish. Despite the semifinals loss, Sumner returned home with a season for the books. 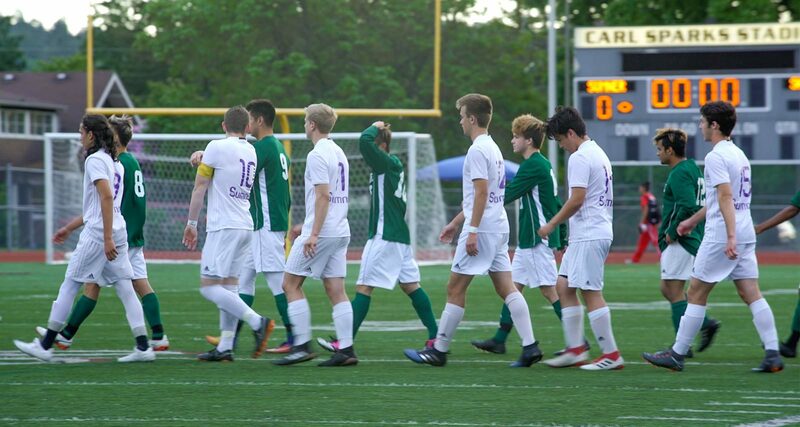 In addition to their third-place title, the Spartans returned home having made school history: they were Sumner’s first boys’ soccer team to ever make it to state semifinals. Some Sumner players went on to earn even more distinctions. Three Spartans landed a spot on the 4A all-state team, selected by the Washington State Soccer Coaches Association. One of these three athletes, a forward who finished the season with 24 goals and 13 assists, was also selected to join a handful of other American teenagers at Real Madrid’s weeklong academy in August. The team is now preparing for the 2019 soccer season with a Snap! Raise fundraiser. In addition to providing quality equipment and training sessions, Murray said funds raised will go towards upgrading team gear. This isn’t Sumner’s first soccer fundraiser with Snap! Raise. Over the past few seasons, the Spartans have raised over $20,000 with the help of the online fundraising platform. Reflecting on the success of Sumner’s previous Snap! Raise campaigns, Murray noted that Snap! Raise’s ease and efficiency are what make it unique. For a team with so much potential, fundraising is more important than ever before. Snap! Raise gives Murray and his Spartans the financial security they need to continue improving. Does your soccer program get the most out of preseason prep? Check out our essential preseason soccer checklist. In addition to the Snap! Raise fundraiser, Murray said preparing for the regular season includes leveraging early non-league games to develop his younger players. He’s also depending on his more experienced talent, most of whom are seniors, to step up as team leaders. “They’ve got to teach these young guys and the young guys have to adjust to their speed of play,” Murray said. So far, this season is looking up for the Sumner Spartans. “This year we definitely want to return to the final four,” Murray said. “And the boys are very eager to win the state title this year. With the right mentality and the right resources, the Spartans are certainly headed in the right direction. Sumner High School uses Snap! Raise to get a leg up on the competition before the season starts. See how Snap! Raise can help you achieve your program goals.